For undergraduate and graduate courses in cognition/instruction in education and applied psychology departments. Solidly rooted in current cognitive psychology and motivation research, this text applies the findings of such research directly to classroom teaching and students' learning. 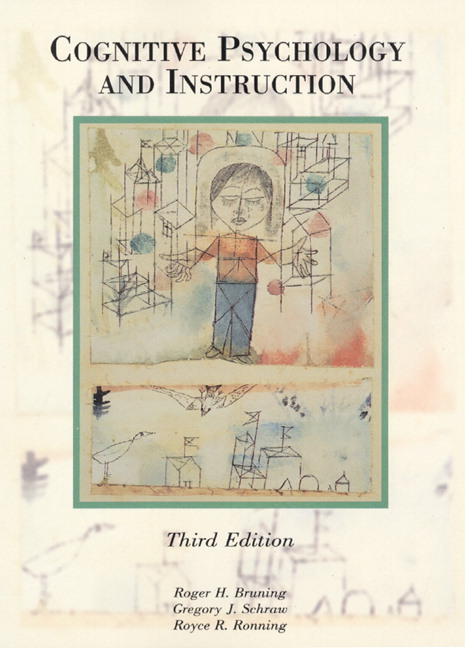 After an introduction to the basic principles of cognitive psychology and its position in education, the text explains cognitive processes, explores the importance of beliefs and motivations in the process of cognition, and, finally, examines the ways cognitive psychology informs teaching and learning in specific content areas. 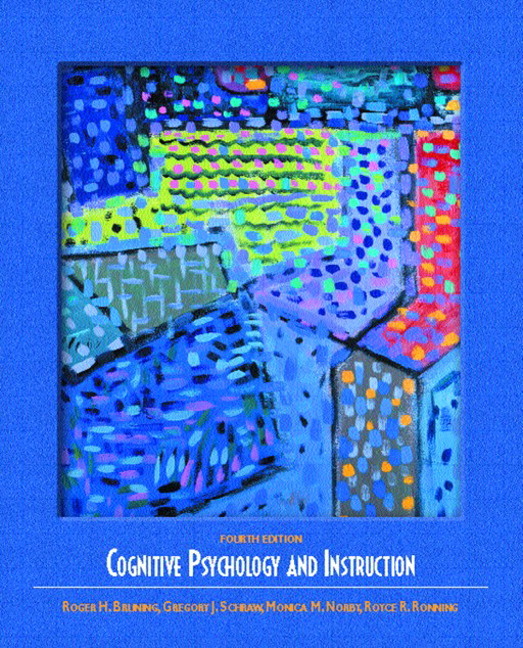 Discernable throughout the coverage is the authors' belief that a solid understanding of the cognitive psychology perspective enhances a teacher's ability to understand educational goals, educational processes, and the overall educational system. NEW - Chapter 10, Technological Contexts for Cognitive Growth —Links cognitive load theory with multimedia design and social cognitive theory with the development of classroom communities. Delineates ways to take advantage of technology to promote cognitive growth—helps students tie cognitive theory with available classroom technology. NEW - Part One of the text has been significantly revised—Connections between the information in Chapters 2 through 5 are much more clearly drawn. Provides a coherent framework for the information in the rest of the book. NEW - Rewritten Chapter 2, Sensory, Short-Term, and Working Memory —Presenting the modal memory model. Introduces students to the most-recent research and the latest theories on these three “memories”—helps them better understand their role in learning and cognition. Implications sections in every chapter—Explicitly relate chapter content to classroom instruction. Clarify for students specific applications of chapter content in the classroom—help them bridge theory and practice in a usable instructional package. Summary section—At the end of each chapter. Provides an opportunity for students to assess their understanding of chapter content before moving on. Suggested Readings list—After each chapter. Highlights additional resources for use with take-home assignments, research papers, or self-study. Defines major terms in cognitive psychology—helps familiarize students with the highly specific nomenclature of their chosen field. Chapter 10, Technological Contexts for Cognitive Growth —Links cognitive load theory with multimedia design and social cognitive theory with the development of classroom communities. Part One of the text has been significantly revised—Connections between the information in Chapters 2 through 5 are much more clearly drawn. Rewritten Chapter 2, Sensory, Short-Term, and Working Memory —Presenting the modal memory model. PART ONE: INFORMATION PROCESSING THEORY. 2. Sensory, Short-Term, and Working Memory. 3. Long-Term Memory: Structures and Models. PART TWO: BELIEFS AND COGNITION. 7. Beliefs about Intelligence and Knowledge. PART THREE: FOSTERING COGNITIVE GROWTH. 8. Problem Solving and Critical Thinking. 9. Classroom Contexts for Cognitive Growth. 10. Technological Contexts for Cognitive Growth. PART FOUR: COGNITION IN THE CLASSROOM. 14. Cognitive Approaches to Mathematics. 15. Cognitive Approaches to Science.